2015 can am Commander max xt in excellent shape with roof ,windshield, wiper, mirrors , light bar and back window. Bike is in excellent condition with only 1600 km. 2014 Side by Side Commander 800 XT. 6300kms. Options: Skid plated; LED lights(front & Back); Tempered glass windshield with wipers and wiper wash; recent oil and oil filter change, and greased. No issues. Price: $10,500. 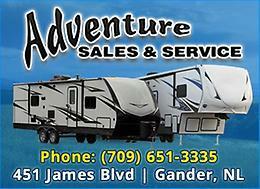 2011 Can Am Commander 1000XT, excellent condition. C/W Power Steering, Can Am Flip Windshield, Soft Rear Window, Deluxe Convertible Roof, Panoramic Rear-view Mirror, Side Mirrors, 4000 lb Warn winch with synthetic rope. 3500 km. Serviced before being stowed in fall 2018. For sale 2011 Can Am Commander 800 XT with approximately 2700 miles. Bike is in excellent condition, with full roof, half windshield, rear wind screen, and front skid plate. Bike was dealer maintained at required intervals since new. Bike always stored inside. Feel free to email with any questions. Open to offers, wants sold. No trades. For sale, mint condition 2013 commander xt camo edition. 800cc. Bike as fresh service with all oils changed. Rust checked before storage every year, approximately 7000km. Comes with over 4500$ worth of accessories which include: Hard roof, half windshield, rear view mirror both in cab and rail mounts, accessories rail mount for the back, bed rails, front rack, xt upgraded bumper, head light racks to protect from alders, RTX light bar on roof, back up flood lights on back, 4500lbs warren winch, full under carriage skid plates from front to back. Never had any issues with the bike and absolutely no rust, very will looked after. Asking 13,500$. No trades , serious inquires only. FOR SALE: 2018 CAN-AM COMMANDER 4-Seater.... Only 33 MILES!!! car is in good condition . good on gas 3.5lt. would need a windshield for inspection. asking 3000 neg. Looking to buy a lower front grill, windshield washer bottle and the plastic inner fender for a 2009-2010 Toyota Corolla. AS IS but cannot see it needing much to pass inspection. Windshield has no cracks, handbrake works perfectly, tires nearly new, brakes nearly new. Only 156k. 2008 Honda Civic Second owner Licensed Comes with factory Honda wheels 260xxkm New front breaks put on last month Needs windshield, rear shock, and rear wheel bearing! Runs and drives perfect other then that.